New Delhi: The department of telecommunications (DoT) has decided that the bilateral third-generation (3G) spectrum roaming agreements signed among Bharti Airtel Ltd, Vodafone India Ltd and Idea Cellular Ltd are illegal, barring them from offering users high-speed Internet services in licence areas where they didn’t get spectrum in a 2010 auction. “We are looking into it," another senior DoT official said, on the prospect of any penalty. The issue has been at the centre of controversy since the operators announced in July that they had signed roaming agreements with each other, allowing them to offer 3G services to their subscribers, even in circles where they did not win spectrum. State-run Bharat Sanchar Nigam Ltd (BSNL) and some other telecom company executives had asked the department to examine whether the roaming agreements were legal. 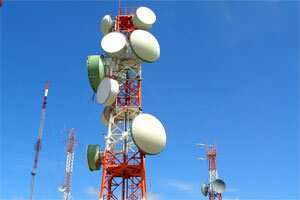 The Telecom Regulatory Authority of India (Trai) had recommended to DoT that the agreements be declared illegal as did various relevant divisions of DoT, including wireless planning and finance, wireless planning and coordination, and the licensing finance divisions. The telecom department also received law ministry approval to deem the roaming agreements illegal. The operators, on the other hand, said the agreements were purely commercial and based on a June 2008 amendment to the telecom rules that allowed an operator to offer services on another operator’s network till such time as they could set up their own. The amendment was made to help new operators, who had been given licences in January 2008, start services as soon as possible. “The decision has been taken that this is in violation of terms and conditions of the licence," telecom secretary R. Chandrasekhar told PTI. DoT “will be issuing notices asking them (operators) to stop their service with immediate effect". On 15 December, Mint reported that Aircel Ltd and Tata Teleservices Ltd had put their agreement that allowed the former to roam on the latter’s 3G network on hold till such time there was regulatory clarity on the issue. Sunil Mittal, chairman of Bharti Airtel, and Marten Pieters, chief executive of Vodafone India, have met Union communications minister Kapil Sibal to discuss the issue. Chief executives of Bharti Airtel, Idea Cellular and Tata Teleservices have also written to various government officials on the issue. In an internal note, DoT had said that the roaming agreement among telecom companies for 3G services would lead to a significant loss of revenue to the government. Bharti Airtel and Idea Cellular declined to comment, while Vodafone India chose to reiterate its stand. In a 25 October report, analyst Rajiv Sharma of HSBC Securities and Capital Markets (India) Pvt. Ltd, estimated that the scrapping of roaming accords may have a direct revenue impact of 6%, 2% and 6%, respectively, on Bharti Airtel, Idea Cellular and Vodafone India. If a penalty is imposed on the telecom companies, it will have to be the maximum, said the second telecom department official.